When Nike tapped Warner Bros. and the Looney Tunes for the Air Jordan marketing campaign in 1992, they created a limited run of Bugs-molded VIIs for promotional displays. Above is a close look at one of the Bugs VIIs in a Cardinal-like colorway. 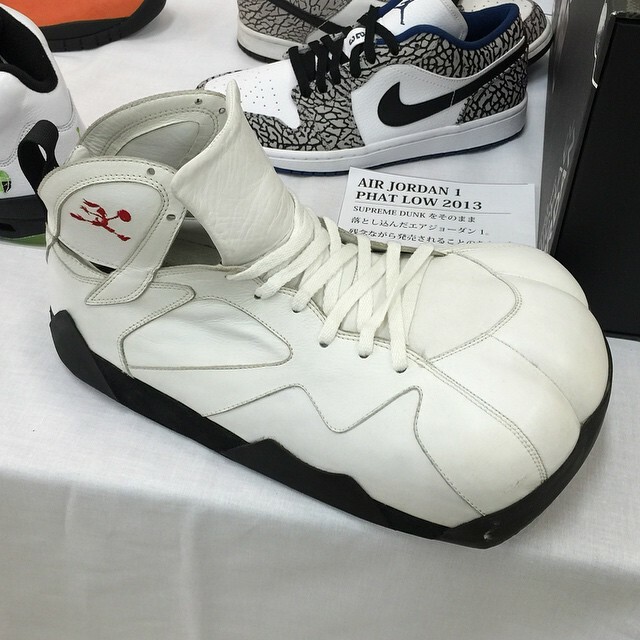 Not only is the shoe oversized, but the toebox was designed to fit the toes on a rabbit’s foot. You’ll also notice JumpBugs embroidery along the ankle. An equally rare ‘Bordeaux’ version also exists. Would you like to see Bugs return for next year’s 30th Anniversary celebration?